Finding the best self-propelled lawn mower can be a chore with the seemingly endless options out there. Below we have selected our favorites to hopefully make it easier for you to pick a winner for your yard. We would undoubtedly consider buying any of these lawn mowers below for use on our own lawns. The Honda HRX217VKA is our top choice for the best self-propelled lawn mower. 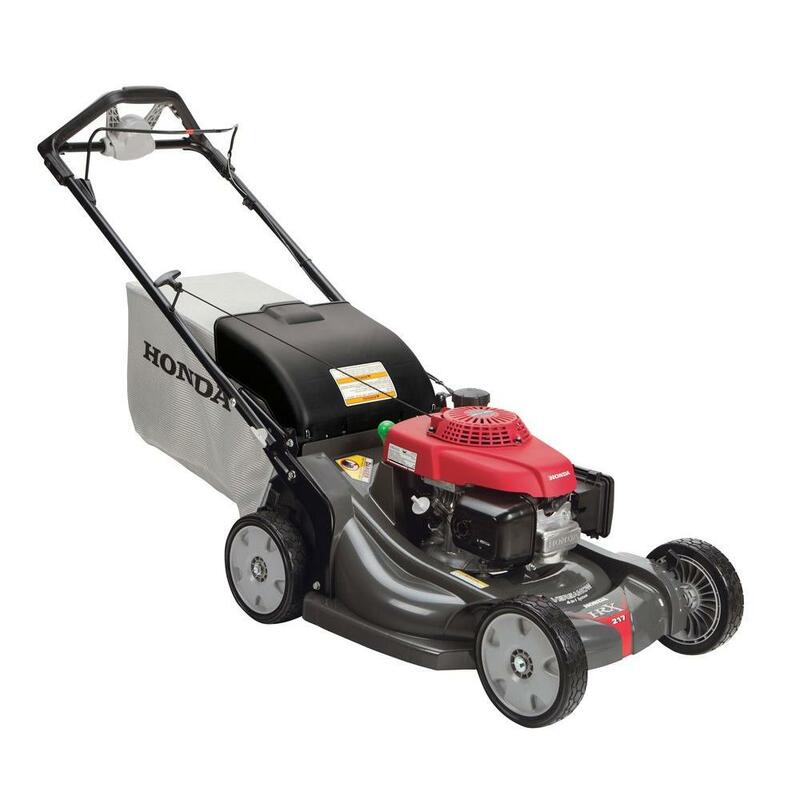 This 21-inch cutting width mower comes equipped with Honda’s Versamow System. This 4-in-1 system provides the user with the ability to bag, mulch, discharge, and shred leaves. You can see a slightly hidden green lever in the picture above. This lever is called the clip director and can slide from side to side. When it is shift all the way left, the bagging option is activated. When moved all the way right, the mower is in mulch mode. Additionally, you can move the lever in-between the bag and mulch settings to allow the mower to partially mulch and bag/side discharge. This clip director is a nice feature that allows for an extreme amount of versatility with your mowing. Another beneficial feature of this mower is its variable speed drive. 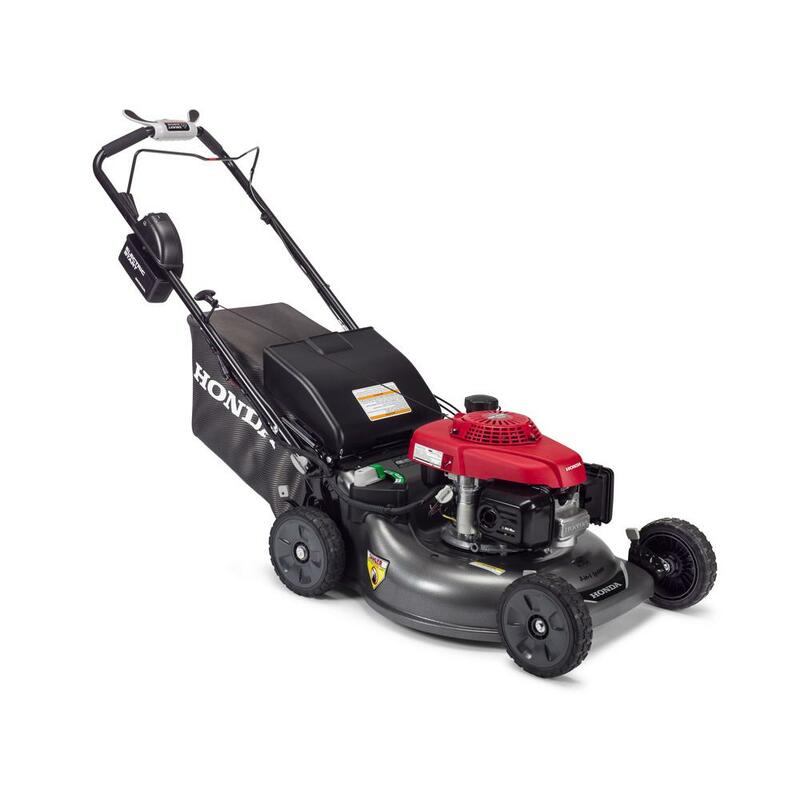 Unlike many low-end self-propelled mowers that have one speed setting, this Honda has select drive system that allows speed changes from 0 to 4 mph. Speed changes can be made even while the mower is moving using a dial or the control handle. Lastly, this mower is designed with a Nexite deck. Nexite is a polymer material that is extremely heavy-duty that will deter rust, dents, and other similar wear and tear. Honda backs the deck by a limited lifetime warranty, which is a signal of its quality. Toro TimeMaster lawn mowers are undoubtedly one of the favorites among residential homeowners because of their dependability and quality. The dual blade system and 30-inch deck width will significantly reduce mowing times compared to traditional 21-inch mowers. One of the features we love about this mower is that you do not have to turn off the engine to complete tasks such as emptying the grass catching bag or picking up the kids’ toys in the way. The mower is equipped with an option to stop the blades from turning while still keeping the mower running. The Personal Pace self-propelled system works by pushing down on the handle to speed up the mower and pulling up to slow down the mower. Another convenient feature is the deck washout port located on top of the mowing deck. You hook a hose up to this port, turn on the hose, and then run the mower blades. This process cleans out grass debris from under the deck without having to turn over the mower for cleaning access. While this mower is pricey for a walk-behind mower, it offers a superb cut and the durability of a commercial product. This mower proves why Toro is one of the leaders in manufacturing lawn mowers. The downside of this mower is its price. While its price is justified in many respects due to its features, the price is unrealistic for many homeowners to afford. Fortunately, Toro manufacturers a few less expensive mowers with the expect quality of a Toro product. One of those mowers is the Toro Recycler featured directly below. The Toro Recycler is a much more budget-friendly option compared to the Toro TimeMaster featured directly above. Despite this mower’s affordable price, you still will have many amazing features that you expect from a Toro mower. It is assembled with a push-button electric start to get rid of the hassle of having to pull a cord to fire up the engine. You will be ready to mow in a matter of seconds after you get your mower into position. There is no need to prime or choke before starting. This Toro has the 3-in-1 option of mulch, side discharge, or bag. The user is able to quickly switch from bagging to mulching with the simple up or down movement of a lever. The 22-inch steel deck is slightly larger than the common 21-inch deck size found on numerous mowers. Like the Toro TimeMaster, this mower has a washout port built into the deck that allows a hose to connect to the port for easy underside deck cleaning. This rear-wheel drive self-propelled gas mower provides three cutting options of mulching, bagging, or side discharging. The mower allows for cutting heights of 1.25″ to 3.75″. While we would like to see the mower height of at least 4″ for those that like a longer mow, the 3.75″ max should be sufficient for most homeowners. Similar to the Toros above, this mower has a washout port that will easily clean the deck without a hassle with the connection of a hose. This is a variable speed lawn mower. When the gray handle is pushed forward, the mower’s speed increases. The speed is decreased by pulling the handle toward the user’s body. 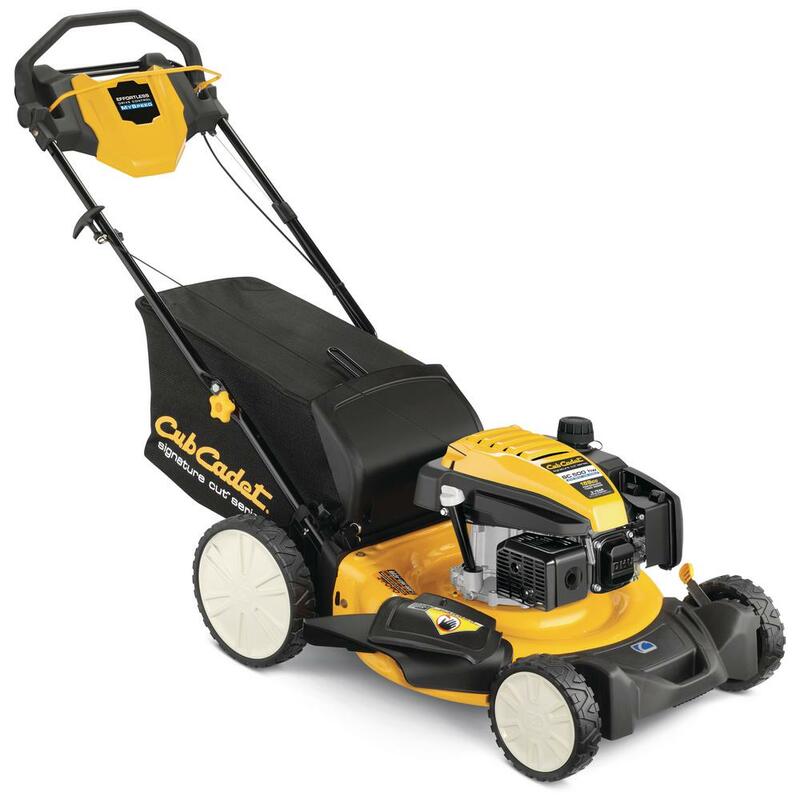 This Cub Cadet will pick up enough speed when the handle is all the way forward to where the user will have to walk briskly (potential run for some) to keep up with the mower. Essentially, there is no worry about it dragging along too slow. 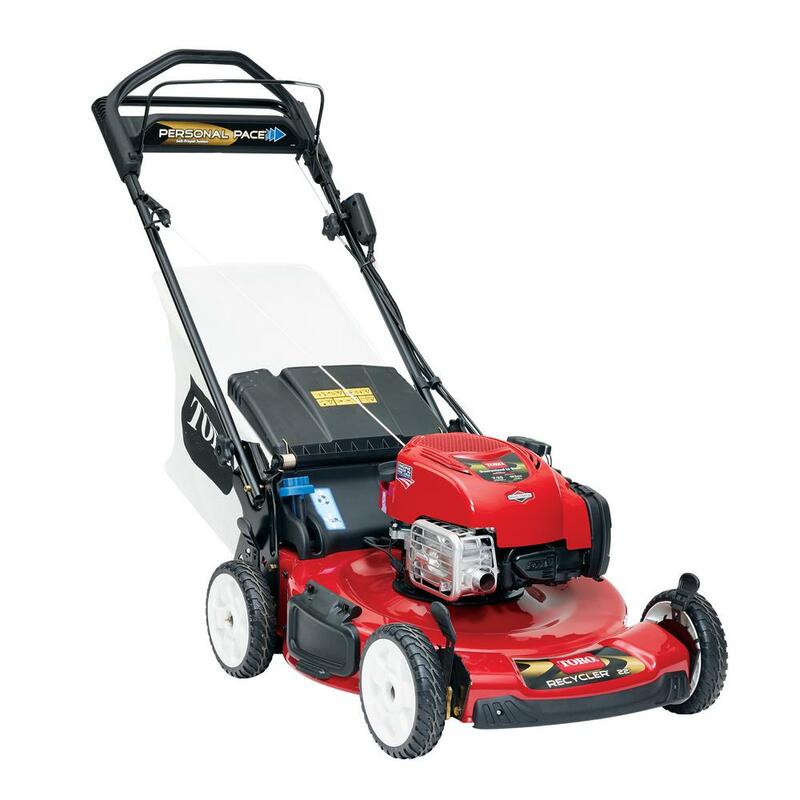 The Troy-Bilt TB370 is a popular variable speed mower that provides a 21-inch cutting width. The speed is controlled by pushing the handle forward similarly to a few other models above. It contains a 163 cc OHV Briggs & Stratton engine and is equipped with ReadyStart. The ReadyStart system allows for no priming and will start the mower in one or two pulls. One feature we really admire about this model is the single level height adjustment. With a pull or push of a level, the deck height adjusts on all four wheels. This is an extremely helpful feature for people who routinely adjust their mower deck to achieve an optimal cut throughout the lawn cutting season. As likely expected, this is a 3-in-1 mower that allows the user to mulch, side discharge, and bag. The six cutting setting provide mowing heights ranging from 1.25″ to 3.75″. This is by no means the best mower feature on our best self-propelled lawn mower list, but it features many of the same qualities of higher-end mowers for a cheap price. It is hard to go wrong with a Honda and this mower is no exception. It comes equipped with electric start, so there is no hassle with the pull of a cord to get it started. The electric start charges while the user mows. This eliminates the burden of having to remember to plug in the charger from time-to-time so that the electric start will work. This mower is manufactured with a steel frame for those that prefer steel over the Nexite (polymer) deck featured on the Honda above. It comes equipped with twin blades providing ultra tiny cuts of grass that will break down extremely well when mulched. We love the variable speed control on this model. To put this lawn mower in motion, you use your thumbs to press down on the Smart Drive control panel that is located on the top of the handle. The speed will increase up to 4 mph (quite fast) as you continue to press down on the control. To decrease the speed, you reduce pressure on the control. This Snapper XD is powered by an 82V Lithium-ion 2.0Ah battery, which offers a run time of up to 45 minutes. You get two batteries and a rapid charger with your purchase. The charger will charge the battery in about 30 minutes. We suspect that most people will have ample time to cut their lawn before the two batteries lose their charge. This is a variable speed mower that provides several options of forward speed to walk at your desired pace. 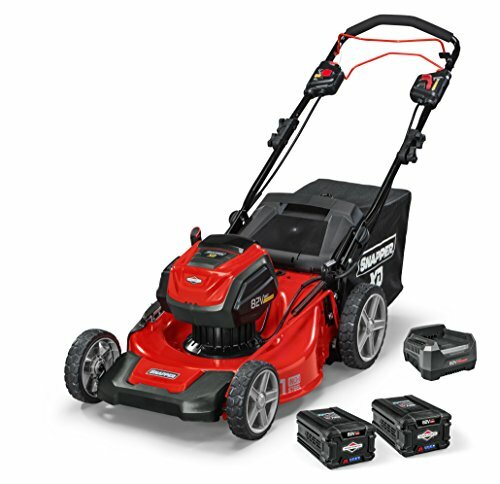 The mower features a 21″ deck and a convenient push start. Like the gas powdered mowers above, this mower is equipped with 3-in-1 mulch, bag, or side discharge cutting options. It features a single adjustment for the mowing height to be locked in at one of seven mowing heights. Two things we should also note about this mower are its weight and its noise level. It weighs only 80.9 pounds making it one of the lightest mower on our best self-propelled mowers list (the EGO below is the lightest). Additionally, the noise level will generally be much less than most gas powered mowers. Here is another popular and well rated self-propelled, battery-operated lawn mower. The EGO LM2100SP provides a 21-inch cut and the typical 3-in-1 mulch, side discharge, or bagging options. The mower is equipped with a push-button start. There is no need to pull start this mower like traditional mowers. It is powered by a 56-Volt Lithium-ion battery. 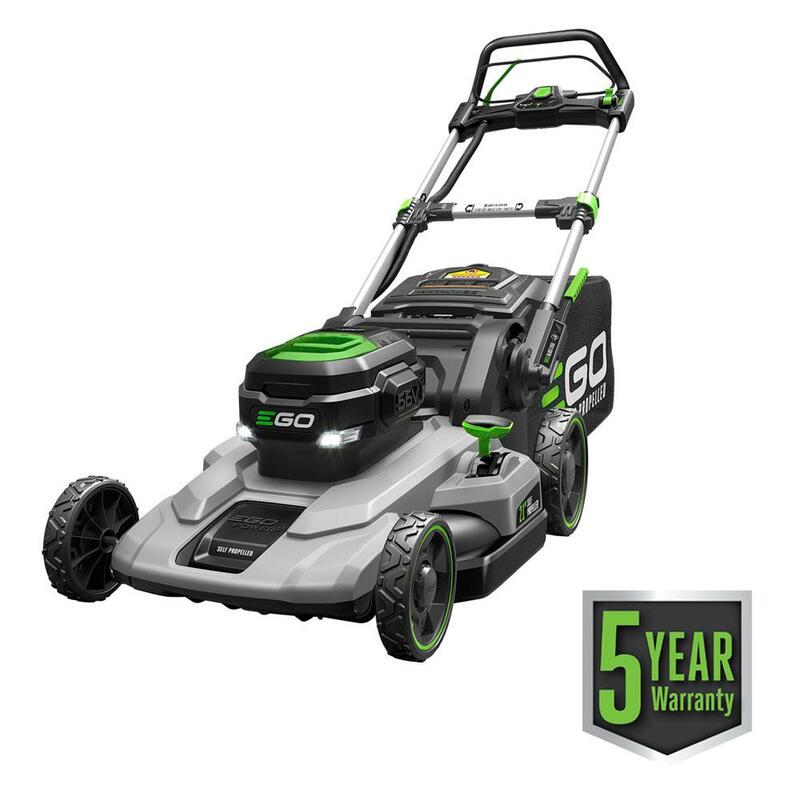 If you buy the 7.5 Ah battery and charger that is compatible with this mower, you will receive 60 minutes of cut time on full charge and 60 minutes of charge time for an empty battery. What self-propelled lawn mower works best for hills? Generally, the best self-propelled lawn mowers for hills are all-wheel drive or rear-wheel drive mowers. Please view our article on the best lawn mowers for hills for more information. Do I need a self-propelled lawn mower? A self-propelled lawn mower is not necessary for everyone. 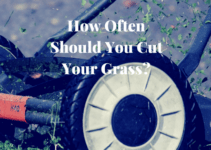 If you have a small yard, many people often opt for a less expensive push mower or even a reel mower. These mowers will require more physical energy since you have to manually push them across the lawn. If your lawn is 1/4 acre or more, you should consider a self-propelled lawn mower or even a riding mower if your yard is very large. When to replace lawn mower blade? Sizable dents or chips out of the blade are a signal that your blade needs to be replaced. If your blade is in good working condition, but dull, you can sharpen it with a file or take it to a local shop that offers a sharpening service. Generally, the blade should be sharpened about twice a year. Check out this video on how to sharpen a lawn mower blade. Will lawn mower pick up leaves? If you have the bag attached, a mower will pick up leaves. 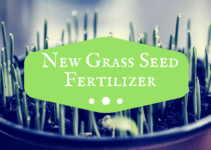 You can also mulch them, which adds nutrients into the lawn. Keep in mind that you may have difficulty picking up a thick layer of leaves with a lawn mower. If the layer is too thick, you may need to rake or find another leaf clean up method. What are AWD, FWD, and RWD? All-wheel drive (AWD) means that all wheels move when the self-propelled drive is engaged. Front-wheel drive (FWD) means that only the front wheels turn. Rear-wheel drive (RWD) means that only the rear wheels move. Should I get AWD, FWD, or RWD mower? FWD mowers tend to be the cheapest option and are sufficient for lawns that are flat. RWD provides better traction for hilly or uneven terrain. AWD mowers will cost the most, but are said to provide the best traction of the three. What is single and variable speed for a lawn mower? A single speed lawn mower only moves at one speed that is set by the manufacturer. There is not an option to make the mower go faster or slower than the set speed during mowing. A variable speed mower allows the user to speed up or slow down the lawn mower to their desired speed. Generally, a variable speed mower will cost more than a single speed lawn mower. Can you reverse a self-propelled lawn mower? The self-propelled mechanism generally does not have a reverse option. The common way to reverse a self-propelled mower is to disengage the self-propelled feature and manually reverse the mower by pulling it toward you. 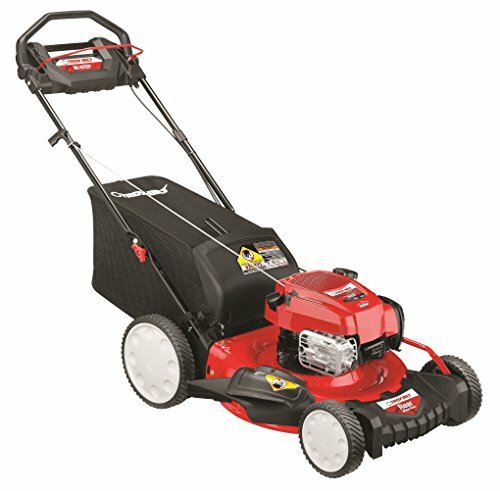 Do I need an electric start feature on my mower? It is a convenient feature to have if you do not enjoy manually pull starting the lawn mower. However, if you buy one of the best self-propelled lawn mowers, it is likely going to start within a pull or two. You have to ask yourself if the extra cost of an electric start is really worth not having to pull the cord a couple of times a week. What are the top self-propelled lawn mower brands? 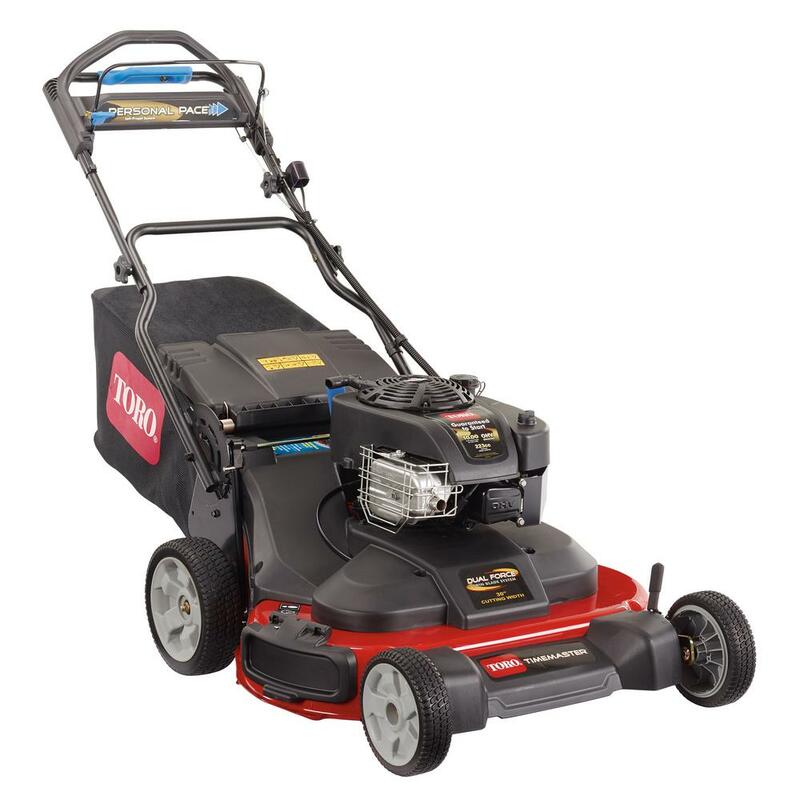 The top self-propelled lawn mower brands include Honda and Toro as the two kings. Other mowers that deserve a mention are Cub Cadet, Husqvarna, Craftsman, and Troy-Bilt.